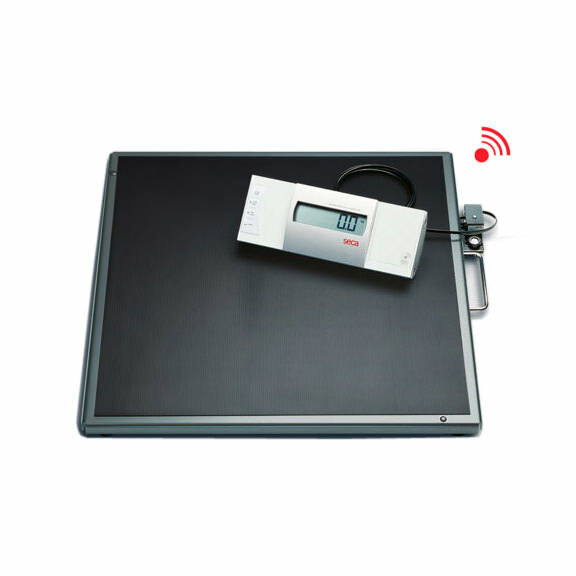 Seca 634 digital platform and bariatric scale with wireless transmission is ideal for use in hospitals, medical practices and in-patient care facilities in accordance with national regulations. 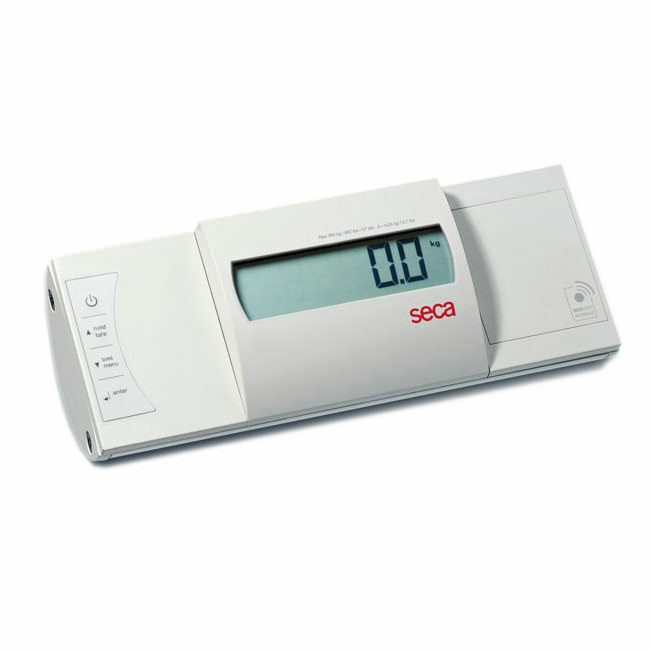 Seca 634 bariatric scale is for conventional determination of weight and establishment of general state of nutrition. 634 digital platform scale is made up of non-slip 22" x 22" platform and has weighing range capacity of up to 800 lbs. In addition to conventional determination of weight, the seca 634 weighing scale provides a function for determining body mass index. 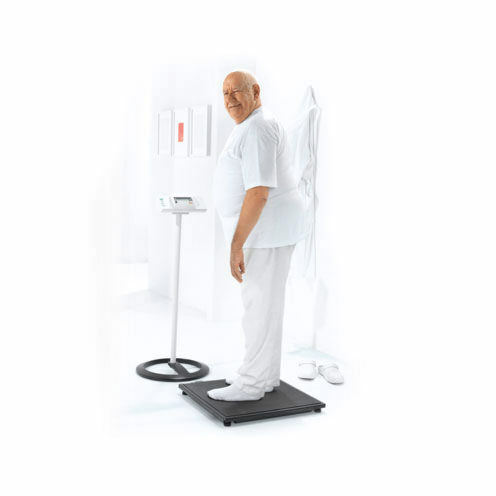 Weighing range up to 800 lbs.- Seca 634 platform is developed for weighing adipose patients. 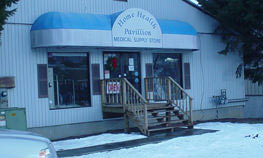 It is a sturdy basis for heavyweight and pregnant patients, has weight capacity up to 800 lbs. 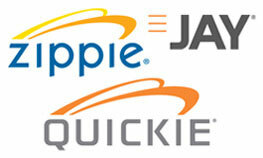 Generous platform size - 634 digital scale is made up of non-slip 22" x 22" platform. 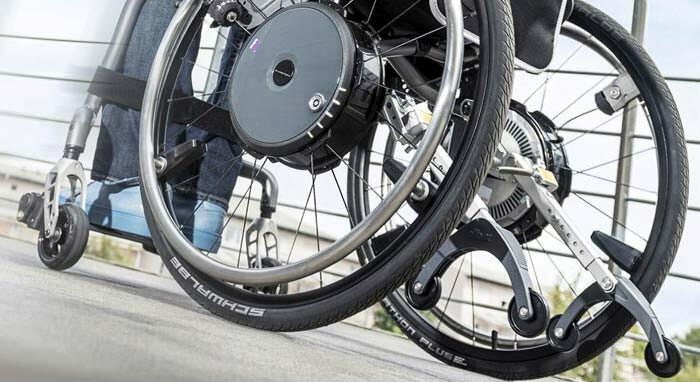 With the pre-TARE function, the weight of a chair or standing aid can simply be tared away. Cable remote display shows fine graduation - The result is shown on the cable remote display in easy-to-read LCD numerals. The 0.1 lbs graduation means that even the smallest changes in weight are registered.